In the following analysis, we review the data and discuss some of the many highlights from the 2018 Advanced Placement (AP) exams. Congratulations are due to the 84 TASIS students who attempted at least one AP exam this spring, the many excellent teachers who prepared them so well, Advanced Placement Coordinator Peter Locke, High School Academic Dean Mark Abisi, and Director of Studies David Jepson. 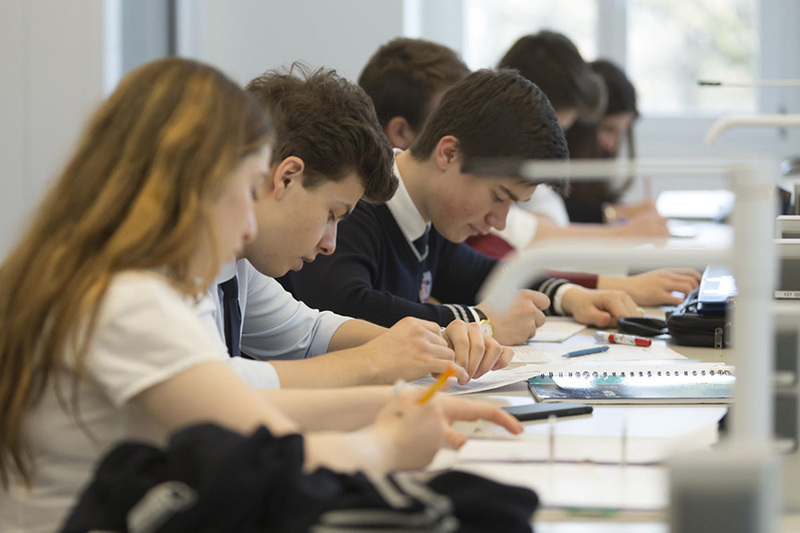 To better understand why some students at TASIS choose to take AP classes rather than pursue an International Baccalaureate (IB) Diploma, we recommend reviewing this article, which also includes an analysis of AP and IB results from 2015 and earlier. Analyses of the 2017 IB and AP results, the 2016 AP results, and the 2016 IB results are also available on the TASIS website. Fifteen TASIS students earned an AP Scholar Award—up from 11 in 2017. These awards are granted by The College Board to high school students who demonstrate exemplary college-level achievement on Advanced Placement exams. Bo Kim ’18 and Noah Plues ’18 earned the highest honor, AP Scholar with Distinction, for scoring 3 or higher on five or more AP exams with an average score of at least 3.5. They each took at least nine AP exams while at TASIS and combined to post an outstanding average score of 4.00. Ethan Fredericksen '18 and Claire Paiement ’19 were each named an AP Scholar with Honor for scoring 3 or higher on four or more exams and compiling an average score of at least 3.25. They combined to take nine exams and posted an exceptional average score of 4.22. Eleven students—Gregory Alexander ’18, Jasper Beckmen ’18, Yu Ying Chan ’18, Chanse Corbi '19, Emma Dressler ’18, Giorgio Gambazzi ’18, Hankeyoul Lee ’18, Bing Li ’18, Herkus Marcinkevicius ’19, Alexandra Pohl ’19, and Zichao Yang ’19 —were recognized as an AP Scholar for scoring 3 or higher on at least three exams. Of the 11 students who took the Studio Art: 2-D Design Portfolio exam, nine scored a 5 and two scored a 4. This very impressive average score of 4.82 stands out in comparison to the 2018 mean global score of 3.48. Credit Kim Nelson for helping her photography students achieve outstanding results on this exam year after year. Fourteen students took the Microeconomics exam under the guidance of first-year TASIS teacher Eric White and produced an average score of 4.07 (mean global score was 3.21). Six students took the highly challenging Calculus BC exam and averaged 4.00 (mean global score was 3.74). These students were guided by Matt Knee after taking Calculus AB with Kerry Venchus in 2016–2017. Sixteen TASIS students showcased their impressive language skills by self-studying for the Italian Language and Culture, French Language and Culture, German Language and Culture, and Spanish Language and Culture exams and combining to produce a mean score of 4.00. Led by Anna Kavalauskas, 12 students took the English Language and Composition exam and averaged 3.33 (mean global score was 2.83). Four students took the Biology exam and posted an average score of 3.75 (mean global score was 2.87). They were guided by Eric Walser. Students worldwide struggle with the Physics 1 exam—170,823 students recorded an average score of just 2.36, easily the lowest of all the AP exams—but nine TASIS students managed a solid average of 2.78. They were prepared by Matt Walker. Congratulations to Studio Art: Drawing Portfolio student Stanislava Kirsanova ’19, who had a piece of artwork selected by the College Board for inclusion in the 2018–2019 AP Studio Art Exhibit. The exhibit is produced annually and aims to showcase outstanding artwork created by students who submitted portfolios for the AP Studio Art exam. 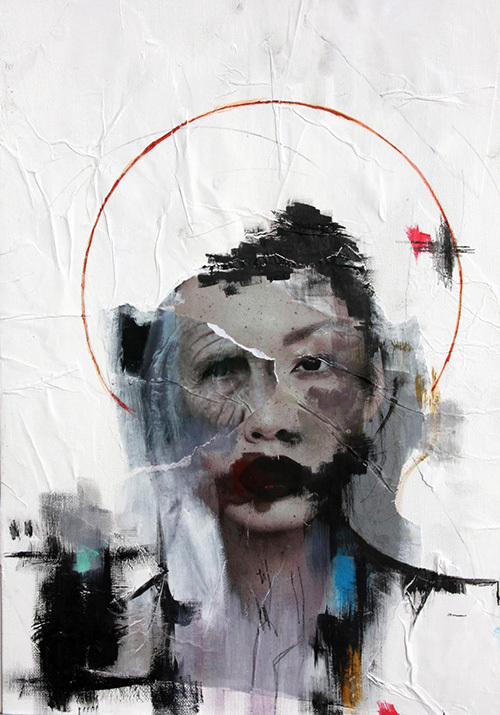 Kirsanova's work (pictured below) was one of just 30 pieces chosen from the more than 60,000 portfolios submitted in the spring of 2018. The 2018–2019 AP Studio Art Exhibit will be displayed at different locations around the United States throughout the coming year. More of Kirsanova’s work, alongside other student artwork from what was a very successful exam session for students in both Studio Art: 2-D Design Portfolio (emphasis on photography) and Studio Art: Drawing Portfolio, will soon be shared on the TASIS Visual Arts microsite. Selected works will also be displayed in the Horst Dürrschmidt Gallery in the Şahenk Fine Arts Center beginning in September.